A power system with high voltage transmission is necessary to transmit a large amount of electrical energy from generating stations to consumers. Insulation is the most important part of high voltage system together with cable and machine. In order to keep the equipment in good operating condition, it is necessary to maintain the insulation in the equipment. In particular condition, heat and other form of energy are released during the discharge activities which may degrade the performance of the insulation. In this paper, the temperature distribution pattern in the insulation of PILC cable is studied in order to help in determining the location of discharge activities. In particular, the effect of the size and location of the void in the insulation are investigated by using COMSOL Multiphysics. The result shows the amount of heat pattern is affected by the size and location of the void in the insulation. The finding shows that, the smaller size of void and the nearer void to the conductor made the insulator more heated and leading the cable to breakdown. 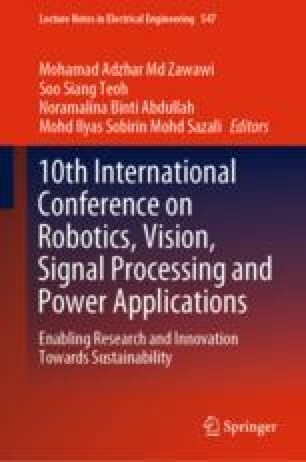 The authors would like to thank the School of Electrical and Electronic, Universiti Sains Malaysia for the financial and management support under Short Term and RUI grants (304/PELECT/6315032 and 1001/PELECT/8014054).